Wow, we are nearly at the end of 2017. With so much achieved and so much more to do. December is a great time to review, re-set, kickstart or create new goals to making 2018 hugely successful, fascinating and fantastic. Whatever the sport I love watching the ‘Inner Game’ from different types of stars from the worlds of football, golf, basketball, sailing, rugby, etc. You can see it in their; presence, posture, composure, eye contact, focus, breathing and routine before, during and after the game this speaks a thousand words – it’s their ‘Inner Game’! In this country, we are blessed with some of the world’s best athletes, their Inner Game is vital to their success. As their fans will be flocking across the country for horse racing, watching intently to the Golf. Our champions have the practising their technical skills but what will truly make the difference is their mindset – their inner game!. Great athletes understand there is a “hidden ingredient” that exists beyond the mechanics and knowledge of their field and that understanding it allows them to perform at their best. Michael Jordan and Tiger Woods both stated that when they developed their “inner game” their performance went to another level. They had great physical skills but when they harnessed their mental and emotional skills and brought all three together, they really understood how much the inner game influenced the outer game. They understood that talent alone takes you only so far…even great talent! There are talented people who don’t perform up to their potential in many walks of life. How many people with talent do you know who don’t perform up to their potential? Talent is only part of the equation. To represent your country in the Olympics is a measure of unbelievable talent – but inevitably there will be winners and losers in the game. Most would agree, it’s the “hidden ingredient” of the ‘Inner game’. While they originate from the sport, the same principles can be applied to many learning across life and business. People in business experience the same performance-related challenges as athletes do. Environments charged with too much negative energy, poor stress/recovery habits, work/life balance issues, confidence, burnout and subtle forms of self-sabotage can all cause a person to underperform on the job. This costs organisations time, productivity and money. How about you? Many businesses decisions are won or lost in your mind. Can you access the almost limitless mental resources you possess? I believe you CAN be an inner winner–all the time. Let’s take a look at how you can use inner game mind tools to help you sell better, present better and relate better to your clients. Study yourself, build your mind tools, hire a coach and you’ll be an inner winner all the time. The business and sports worlds can learn a great deal from each other to create an environment of positive energy that fuels the best from people. So, this summer do you think improving these areas would make a difference for you? 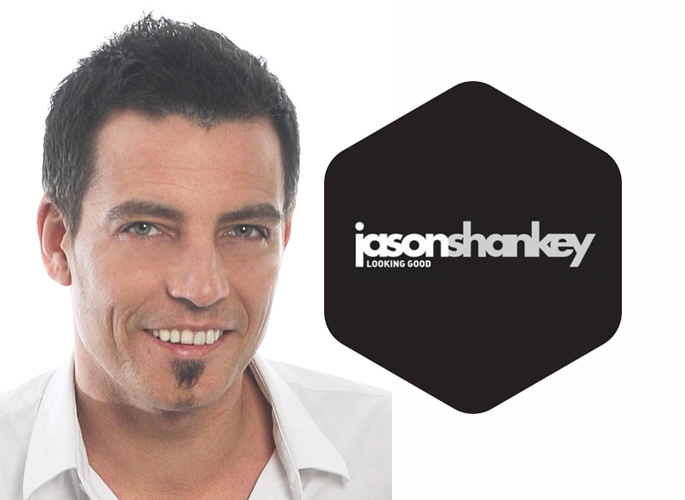 Call me today to arrange a time to start competing at a new level, developing your inner game and achieving great success. One of the BEST things any professional, business owner or manager can do is invest in yourself. The chance to “see the forest for the trees” is incredibly valuable. Conferences generate new perspectives, and new ideas create vast new opportunities! Invest in yourself! 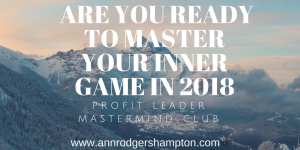 Email: ann@annrodgershampton.com or let’s discuss what would work for you on 07725052349 – Click here and join Profit Leader Mastermind Club and master your inner game.